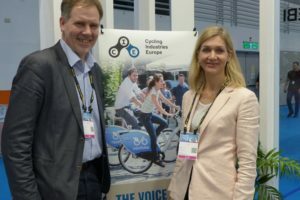 TAIPEI, Taiwan – At last month’s Taipei Cycle Show the Bicycle Committee of the World Federation Sporting Goods Industry (WFSGI) presented an update on its consultations with the UCI with regard to issues like disc brake use in professional road racing, the 3:1 rule on aerodynamic design, as well as weight limitations for pro road racers. The WFSGI was happy to report that progress is being made. That progress was reported for the discussions on the abolishment of the current minimum 6.8 kg weight limitation for pro road racers. 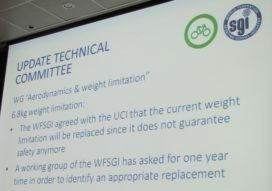 WFSGI’s communication manager Yves Möri said that the UCI agrees to the fact that the weight limit that’s now in place is no longer appropriate. 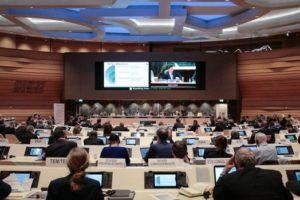 The WFSGI Bicycle Committee, the industry’s voice towards the International Cycling Union (UCI) with its Working Group on Aerodynamics & Weight limitation and Disc Brakes, has in the past months discussed several proposals with the UCI. The final one on the weight limit regulation will be presented this year. 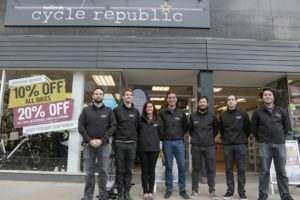 According to the WFSGI Bicycle Committee the UCI now takes the view that a proper set of safety requirements that applies to a new weight limit must be in place. Yves Möri said in Taipei that this is currently being addressed and when further consultations reach an agreement then the final proposal can be announced later this year. 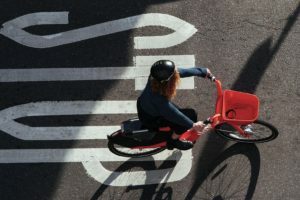 Möri also announced that progress has been made on the issue of aerodynamic design of frames and forks. He proudly said that the UCI now agrees to the removal of the 3:1 rule. However, this only applies to frames and forks and not to components. 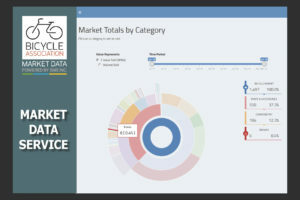 Regarding the ongoing disc brake issue he reported that rotors with rounded edges have been agreed to, along with common specs for rotor sizes and axle dimensions, in order to facilitate neutral support in races. With the test restarted per January 1, 2017 the WFSGI Bicycle Committee remains confident that pro racing will adopt disc brake use. The WFSGI update at Taipei Cycle also included an overview of the association’s anti-counterfeit activities, which are named Convey. Over 200,000 counterfeit offerings worth over 11 million euro had been deleted from webshops. Platforms like Alibaba are now taking down products Convey has identified as fake.